Ten (10) 3-bed 2.5 bath townhomes. Parker Townhomes is a 10-unit townhome community on Portland's eastside. 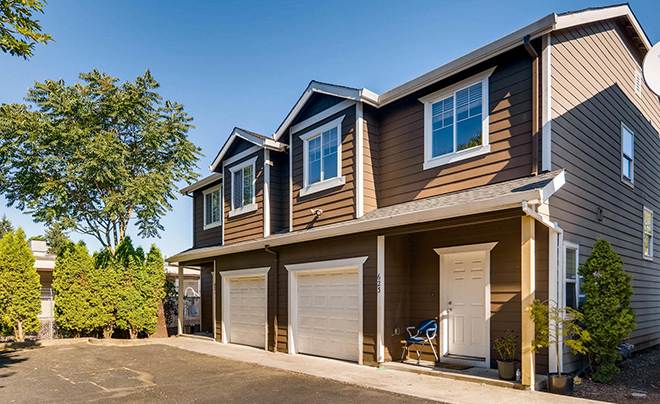 These spacious 3-bed 2.5-bath townhomes are all 1,497 square feet and are complete with stainless steel appliances, attached garages and updated finishes and fixtures. Units have had extensive renovations including new flooring and painting.